A Heart’s Betrayal (Thomas Nelson, June 2015)Emmie finds shelter in the arms of a soldier, but her secret could drive them apart. 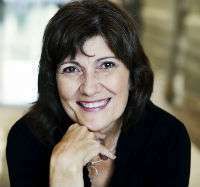 has sold over 2 million novels worldwide. Seagrass Pier, the third installment in her acclaimed Hope Beach series, marks a new highpoint for emotion and complexity in Coble’s addictive brand of romantic suspense. 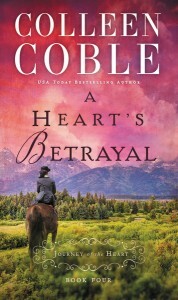 This is the fourth book I’ve read from the Journey of the Heart series by Colleen Coble. Each book could easily stand alone. I have liked them all so far I only ~ I only wish they were a bit longer. I always enjoy the people in the stories and hate to have their stories end. When Emmie husband dies and she finds out that he is a bigamist ~ she can not stay. She goes to start a new beginning only she didn’t plan on meeting Isaac. Isaac sees a haunted look in Emmie eyes – can he be the man to remove that look, to bring her happiness? 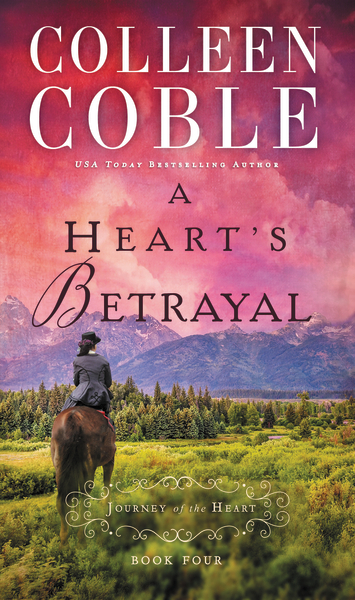 I think you will like “A Heart’s Betrayal”. It is a quick afternoon read. I have really been trying to watch my weight and one thing that is so important is to weigh your food, you want to make sure you don’t have too much or even too little of a portion. 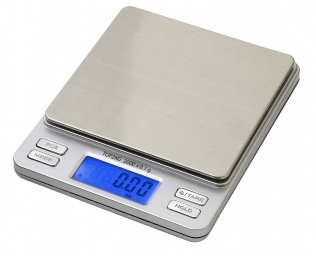 I found the perfect scale, the Smart Weigh Digital Pocket Scale-Silver #smartweigh. This one is small and you could even take it with you. It features a unique and simple design with its stainless steel 3.94″ x 3.7″ platform. When I received the scale it came with two AAA batteries so I could use it right away. It also has an auto shut off feature so your batteries will last you long time. What I found after using the scale is that I am really bad at estimating amounts and that I need to use the scale to help me with the correct portion sizes. If you are looking for a Smart Weigh Digital Pocket Scale-Silver you can purchase one on the link below from Amazon.com. Do you drink enough water every day? I know I don’t ~ but I am trying to do better. One thing I think is helping is using this new Live Infinitely Infusion Water Bottle #liveinfinitely. You toss your favorite fruits, veggies or tea into the infusion basket, fill up with water, give it a little shake and allow about 10 minutes for the infusion water bottle to work its magic! I like mixing a couple of things together like lemon and lime or cucumber and lime. The water becomes very refreshing when you add the fruit and veggies to it. One of the girls at work noticed I had been drinking more water and when she saw why she ordered herself one of these Live Infinitely Infusion Water Bottle. Now we both are drinking more water and it is fun coming up with new ideas. Last week I used lemon with raspberries and the next day lemon with blueberries both were good. I saw my friend had watermelon in hers today. The fruit infused water bottles are made of high quality Eastman Tritan Copolyester, which is Eco-friendly and BPA free. The bottle is easy to clean and is dishwasher safe. It is also leak proof so you can put it in your back-pack and go. 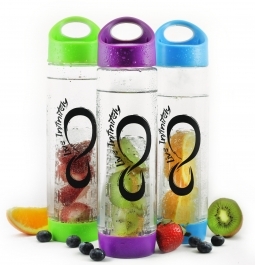 If you would like to purchase your own Live Infinitely Infusion Water Bottle you can do so on the link below from Amazon.com. I am always on the look out for a pair of good tweezers. I recently received these tweezers from 42 Bees and I love them. Not only do they work great I love the comb on the one end to help style my eye-brows. 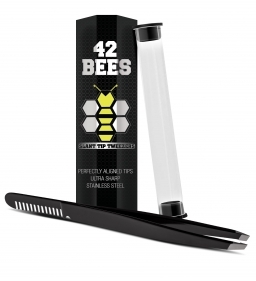 42 Bees Pointed Tweezers are the perfect precision tweezers for all types of tasks. Their extra sharp points make them easy-to-use ingrown hair tweezers that will allow you to whisk away hairs without damaging already irritated skin. Use them as first aid tweezers for removing ticks and splinters. We have a lot of bark mulch around our apartment and we get those tiny splinters on our shoes and drag it in the house. The other day I got one of those splinters in the bottom of my foot. Well my 42 Bees Tweezers came to my rescue – Rex was easily able to remove the splinter from my foot. The ultra sharp tweezers was able to grab the small splinter and Rex was able to pull it out without any problem. The slant tip tweezers are just the right size to fit into my purse so I can carry it with me – I love that it comes in a PVC carrying tube that helps protect the tweezers and my fingers when I grab something out of my purse. I remember when I was much younger – Mom would get us kids each a kite and we would put them together and fly them out in the yard. Well kites have sure changed since then. Ours were made out of paper with a few sticks. 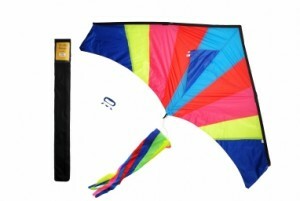 Now you can find all different types of kites in all colors and sizes. This one here from Get Childish is perfect to take to the park or even the coast. It is a beautiful rainbow kit. The Wind Leverager is very easy to assemble and a very easy flyer as well. Plus unlike others, this kite stays up for a long time with minimal effort just choose a good windy place and in no time you will be enjoying seeing your kite in the sky & your Kids will love it. Flies great in winds of 5-20 mph. Rex had a great time with this Wind Leverager Kite on the coast. It comes in a nice bag so it was easy to transport and carry. It also so comes with a kite handle with strong line string. The kite is made of strong nylon so Rex had no problem flying it. He was like a kid again with his kite. How many of you bring your lunch to work? I do and I bring salads most days. I hate having to use multiply containers or put the dressing on before leaving home and then I have a soggy salads. I recently received these two Salad Container Serving Cups from 4Cooking&Go #zitriom and I love them!! They have a 2 ounce dressing cup in the cover and fork on the side. One container and everything together. The containers are made out of the highest quality plastic that is BPA free. I save money because I can wash them out and reuse them time after time. I like the great design – you put your salad in the container, dressing in the small holder in the cover. Then at lunch time you can just dump your dressing in, shake gently and eat your salad! My salads seem to stay fresh longer. I make two day’s of salads with all kinds of veggies and bring them to work. The second salad is as fresh as the first one. I like that they do not take to much room in the fridge too ~ we have a small dorm type fridge in our break room and it is shared by 4 people. So there is not much room. 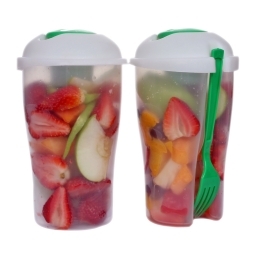 You can purchase your own Salad Container Serving Cup on the link below from Amazon.com. One of Rex and my favorite things to do is to take a drive and I often bring a picnic lunch with us. I was very excited to review this Extra Large Picnic Blanket Measures 60″ x 80″ by Pratico Outdoors #praticopicnic. It folds up and is easy to carry. We just keep it in the trunk, then when we get to the park, beach or riverside we take the blanket out and have a nice picnic. The backing is cushioned and waterproof so no worries if the ground is damp. There is lots of room to spread out and to share with friends. I love to unfold it, lay down on it and stare up at the clouds. It makes me think of when I was a kid and you would lay on the ground and each cloud looked like a shape. 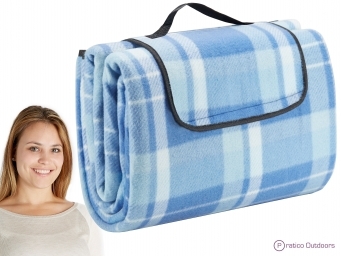 I think this blanket is great for outdoor concerts ~ just spread it out and enjoy the music! You can purchase your own Extra Large Picnic Blanket on the link below just in time for summer fun on the link below from Amazon.com. I am always looking for some new Smoothie recipes to try. Here are a few that sound really good. Tired of working out day after day and still not seeing the weight come off? Believe it or not, that excess weight may relate to the foods that you eat. Though you know that eating fewer calories can help you lose weight, you might not know that eating the right foods can help the fat practically melt off your body. As long as you have a blender nearby and enough time to toss a few ingredients into that blender every day, you can slim down and keep the weight off. Papayas and peaches have a similar flavor profile and texture, and both of those fruits taste great when combined into a slightly tropical smoothie. Mix one cup of frozen peaches, one cup of frozen papayas, one small apple and ½ cup of pineapple juice in your blender. Make sure you remove the skin and seeds or pit from all the fruits first. You can also add a little mint, ginger or sugar to the blender. Add one tablespoon ground flaxseed or Chia seeds to get even more benefits out of this morning drink. Studies found that berries can reduce bloating and help women lose weight too, and this recipe is a great way to increase your daily intake of berries. Combine ¼ cup each of strawberries, raspberries and blueberries in your blender. Add ½ cup of nonfat Greek yogurt and just enough skim milk to smooth out the ingredients. If your berries aren’t as ripe as you would like, add a dash of sugar or honey. You can also replace the berries with any of your favorite berries, including blackberries, for a new flavor profile. After a hard workout, you might feel tempted to treat yourself to a candy bar or a few pieces of chocolate. This smoothie taste just as great as those snacks but has a fraction of the calories. As one of the top Vitamix recipes, this smoothie calls for one cup low fat chocolate milk, one frozen banana, three tablespoons peanut butter and ½ cup nonfat Greek yogurt. Place all the ingredients in your blender and mix until smooth. Smoothies fill your stomach, give you more energy and help you burn more calories. Find even more smoothie recipes for weight loss at websites like Blender Babes. Students at schools for makeup artists need to know the hot makeup trends so they can keep clients looking on point when they graduate. Currently, there are few hotter makeup looks than the natural look. It might seem simple, but it takes a lot of work to make a woman look like they are flawless and not wearing any makeup — even if they are. Start With Healthy Skin: In order to get makeup to blend naturally, it’s important to have a clean face. Students at make up artistry schools are taught to wash faces with a cleanser and gently exfoliate their client’s skin before applying any makeup. Moisturizer Instead of Foundation: Unlike many other techniques learned in makeup schools, getting a natural look doesn’t involve heavy foundation. Instead, using a sheer, tinted moisturizer provides a great base for a natural look. This can be applied with fingers or a sponge instead of a brush to keep it light. A Natural Flush: Having just the hint of flushed cheeks is a perfect way to enhance a natural look. This can be accomplished by applying a warm and rosy blush just to the apples of the cheeks. Depending on the tone of the client, the blush can be anywhere from pink to slightly brown. San Diego is known for being an ocean-front city that is family-friendly, has immaculate beaches and some of the freshest seafood restaurants in the country. This is also an active naval community with Navy shipyards on the coast. Travelers can watch the daily activities on the ships from a short distance away, with USS Midway museum being close by as well. While visiting San Diego, visit the San Diego Zoo with the family. There are activities for children of all ages, gift shops, eateries and of course, nearly any animal you can imagine is part of an exhibit. This city has an abundance of city parks for families to walk and picnic in. Street festivals are free to attend. You may find cheap eats via street vendors while walking through a festival or other street event. With this city being a coastal one, a view of the ocean is free from any beach. When you need to find affordable hotels in San Diego, a prime source is a comparison website. Not only are you shown the ratings and names of the hotels listed but the pricing of those hotels as well. Some sources show pricing from multiple resources to show the price comparison from one website to another. To find the best affordable hotel for your budget, create a list of items that the hotel must have. These would be items that you have to have available to be comfortable staying at that location. Include amenities and whether or not the hotel must be pet-friendly as well. Consider staying off of the beaten path a little bit. If you are just outside the center of the city, you will find more affordable hotels to choose from. San Diego has a mix of small cafes and locally owned restaurants. Pick up local publications such as city guides, newspapers and local magazines to get dining coupons or read upcoming specials. These deals can help you visit some of the higher-class restaurants in the city without blowing your food budget. There is plenty to do in San Diego from touring the different districts of the city to shopping and just experiencing the San Diego lifestyle. At the end of a busy day of sightseeing, wind down in your hotel suite with a glass of wine and take in San Diego’s night time cityscape and prepare to call it a day.